Defend socialist Cuba and revolutionary Latin America - Rock around the Blockade! Viva Venezuela! Today Cuba carries the banner of socialism as the leading example of what is possible when the working class and oppressed take power to transform society. Cuba has demonstrated the security of health care, education, food, housing and other fundamental human needs that socialism can bring to people, even in a country under blockade. In 1995 the RCG set up Rock around the Blockade (RATB), a campaign to inform and educate people in Britain about Cuba’s achievements. We have run 13 solidarity brigades to Cuba, taking activists from Britain to learn about Cuba’s achievements. RATB was a part of the international campaign for the release of the Cuban 5, who were finally released from US prison in 2015. We continue to campaign against the US blockade and use Cuba’s example to help bound a socialist movement here in Britain. Since the re-emergence of mass socialist movements in Bolivia, Venezuela and Ecuador, and the election of left-wing governments across Latin America, Cuba’s isolation has ended. It now plays a leading role in promoting trade agreements based on cooperation and mutual benefit, such as ALBA, the Bolivarian Alternative for the Americas. 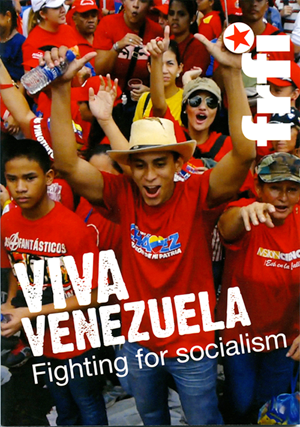 In Venezuela a powerful socialist movement has emerged and bought the socialist government of Hugo Chavez to power in 1998. In the context of interference and aggression from the United States the Venezuelan ruling class launched a vicious economic war and has now made electoral gains. The socialist movement is fighting on. Our role is to show solidarity, highlighting and defending the gains that have been made for the poor in Venezuela. Join us to defend and publicise the achievements of Cuba and revolutionary movements across Latin America. Visit the Rock around the Blockade website for more information about the campaign.